More great speakers will be announced soon - stay tuned! 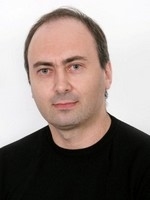 Dariusz responsibilities include cooperation with developers, content publishers in building broad ecosystem of applications around Nokia supported platforms Windows Phone and S40. Dariusz and Nokia Developers Relations team work to make developers successful in turning applications into business, and improve their ROI by providing unique opportunities within the Nokia Marketplace. Dariusz' previous experience includes diversified positions in product management, business development, implementation of Nokia business solutions. Dariusz graduated from the Warsaw University of Technology, Electronics Faculty and successful completed of their Executive MBA program. 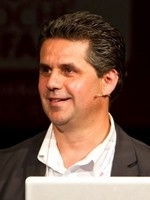 Zohar is the founder and former CEO of Amobee, the leading mobile corporation for far reaching mobile advertising. Within just a few years Amobee has reached hundreds of millions of people and has begun a revolution in the way advertising can truly utilize the mobile medium. Amobee was recently sold for over $300M. Zohar’s recognition in the professional world as Entrepreneur of the Year™ 2011 in California, CEO of the Year 2010 in Israel, and Technology Pioneer for the World Economic Forum, all attest to Zohar’s mark on the face of world advertising and the power to affect change. Prior to Amobee, Zohar has been at the forefront of mobile and internet technology development for over a decade in leading companies. 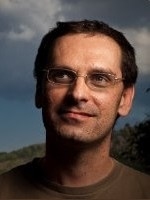 Corrado leads the PayPal Developer Network team, coordinating the Developers and Technology Startups activities across Europe, Middle East and Africa. He is a mentor in Seedcamp, StartupWeekend, StartupBootcamp, Le Camping and Launch48 and has been speaker in many industry events. Before joining PayPal, he worked in the Developer and Platform Evangelism group at Microsoft where, as NextWeb Lead, he led the Web Technologies stack adoption evangelism activities with top customers and partners in Italy. Previously he has been a Technology Consultant for Accenture and, more recently, he drove a Technology startup focused on Digital Brand Management for global celebrities. Ran is StartApp's CTO and VP Product. Beforehand he was the VP of product of Newact (acquired by Amdocs). in Amdocs, Ran was Director of Business Innovation. Ran holds a B.Sc. in Information System Engineering and an MBA from the Technion Israel Institute of Technology. 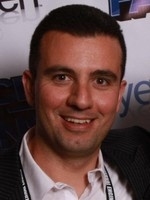 Ary Cohen is the General Manager of Matomy Money, overseeing the reward advertising activity at Matomy Media Group. Reward advertising, also known as value exchange advertising, provides alternative monetization options for websites and applications both online and mobile, and is one of the fastest-growing digital advertising channels. Eran is an entrepreneur and angel investor, focusing on fields like digital consumer services, digital marketing, and big-data technologies. Eran is currently running a global team for Yahoo!. Previously, he was the founder of Dapper, a semantic web and digital marketing company which was acquired by Yahoo! In his past, he was a physicist, focusing primarily on complex systems and complex networks, and an Internet researcher, founder of the DIMES Internet research project. He is passionate about building great products, teams, and companies which aim to change people's life for the better. Steven Spencer serves as a Senior Technical Advisor to Vringo (NYSE: VRNG). He is also President of Cayuga Services, a consultancy focused on mobile, social media, advertising, e-commerce and web applications. His clients range from Fortune 100 companies through emerging start-ups. He is on the advisory board of several early stage mobile, Internet and e-commerce companies.Previously, He was CEO of a mobile social networking company, and Head of Mobile Services at a major mobile content provider. Steven's previous experience spans 20 years with Bell Labs. During this time, he held several executive positions. Steven has a BSEE from Union College, MSEE from Cornell University and an MBA from NYU. Yaniv Reznik is the Amdocs head of the AT&T Foundry, a joint Innovation center for the two companies, bringing Innovative business solutions to AT&T. 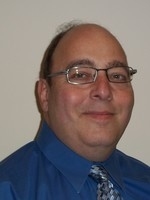 Yaniv brings with him 18-years of deep understanding of international Telecom, having worked closely with multiple major Telecommunication operators around the world on the business as well as technology realization side. In his current role he works daily with the Israeli startup community on integrating their technology and innovation in solving business issues and realizing market opportunities for AT&T. This relates to all facets of the Telco operation, from consumer to home and enterprise, network as well as BSS. . 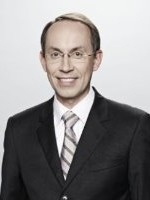 Guy Horowitz heads the Israeli Business Development and Partnering activities of Deutsche Telekom in Israel. Since 1998 Guy has been involved with innovative technologies in ther mobile space, in startups and in the corporate world as well as in venture capital. With roles spanning from product management to marketing, strategy and business development. 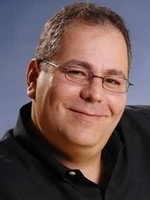 Guy has been involved in getting Israeli mobile technology into the hands of millions of consumers worldwide. With an extensive Marketing and Internet technology background, Noam and Co-Founded and is currently the CEO of Widdit, a leading provider for web and mobile monetization tools. Noam was also part of HumanClick’s founding team, whose success brought to its acquisition by LivePerson (LPSN). 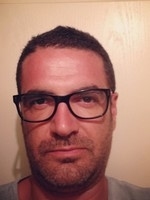 Noam also led consulting projects in the fields of marketing and after-sale at the Door Consulting Group, and cross organization projects at Comverse Technology Inc. Noam holds a B.Sc in Industrial Engineering from the Tel Aviv University, and is a classic cars collector. 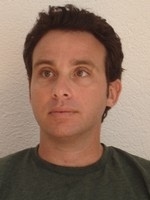 Samuel Keret joined Waze in 2008 in the role of VP BizDev and Advertising. Prior to this role, he served as Marketing and Business Development/General Manager of APAC at Mobixell, and Director of Business Development at the Mobile Internet Division of Comverse (NASDAQ:CMVT) Previously, Samuel also served as Director of Business Development at PelePhone Communications. He holds an LL.B. from the Hebrew University, Jerusalem, Israel and an MBA from Bradford University, UK. 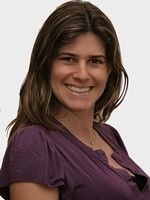 Keren Zemer is VP Business Development at Appsfire, a leading mobile apps discovery and promotion platform. 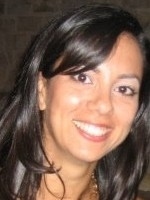 She is responsible for nurturing partnerships with developers and publishers and for developing new business initiatives. 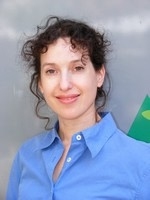 Prior to joining Appsfire, Keren held a few positions at Nokia. 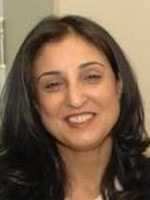 In her recent role she was Head of Business Development and Product Marketing for Emerging Devices unit and before she led the Global Marketing for the Operator Channel, focusing at Hutchison and TIM.Keren holds an MBA from INSEAD business school, and Bachelors in Industrial Engineering & Management from the Technion. 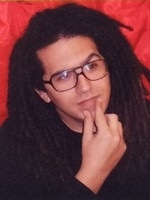 Assaf has recently joined Nordeus, one of the largest game developers in Europe. The company's hit game 'Top 11 Football Manager' is the world's most popular soccer simulation, available on iOS, Android & Facebook. Assaf heads the company's strategic partnerships in North America. 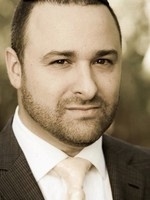 Prior to that, Assaf was VP of Business Development at SupersonicAds. 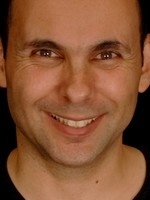 He has built and lead relationships with game developers worldwide, including Zynga, EA, KING.COM and many others. 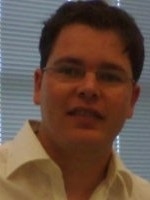 Assaf was tasked with launching the company's Silicon Valley presence and building a local team. 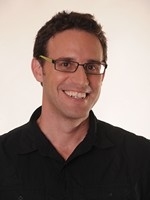 Assaf has over 10 years of experience in digital media and advertising. He holds a BA in Business and Comm. from The Hebrew University. 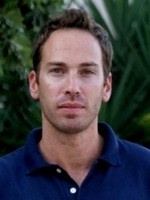 Hillel is the Senior Evangelist at inneractive, a leading name in the mobile app monetization space. 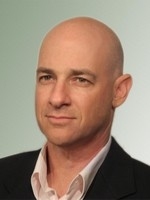 In addition to his day job, Hillel blogs on matters of marketing and mobile technology for publications including The Huffington Post, Gigaom, Business Insider, and Mashable, among others..
As one of the first employees at Matomy, Erez is part of the team that led Matomy to become one of the largest global ad-networks in the market. Leveraging on his extensive knowledge and experience in online advertising Erez is currently spearheading all of Matomy’s mobile activity. 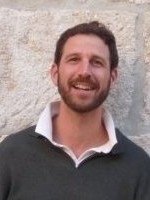 Erez holds a BA in Economics & Management from The Academic College of Tel Aviv-Yafo and is a graduate of the MBA program in finance at Bar-Ilan University. Ariel is the Director of Publisher Relations at StartApp, he is responsible for the entire life cycle of our developer partners – from lead generation through sale and retention. Previously, Ariel held several positions in the online marketing world, from analyst to affiliate account manager. In the past year, he has studied the Android world, inside and out, to offer our developers extensive knowledge on every business aspect of this intriguing and booming industry. 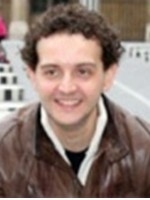 Yaniv is an expert in Monetizing and generating revenue from content and software products. 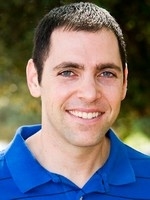 Yaniv is currently the CEO of The SOOMLA Project, an framework for virtual economies in mobile games. Prior to that, Yaniv founded and managed a contextual advertising network that generated income for thousands of blogs and even before that Yaniv is the one of the founders of EyeView which developed a platform for video monetization. Shlomi Grandes, Founder, Grandes Media Ltd.
Shlomi is an entrepreneur involved in various ventures (as Chairman, CEO and investor). Among his activities, on 2008 he established Grandes Media Ltd., a marketing and strategic consulting firm assisting various ventures emphasizing new media and mobile apps. The company advises venture capital funds and private investors in the digital media space .On 2007, Shlomi established Trixcell, a mobile content company which creates, produces and distributes an entertaining mobile content. The company has a commercial partnership with Fox Mobile and provides content for over 90 countries. Since 2012, Shlomi acts as the founder and Chairman of Appsepya, a Berlin based studio for development and marketing of mobile apps. Ran Ben - David Co Founder of AppRank the "Bloomberg" of Appstore's Is Living in the mobile Space since the year 2000 trying to identify needs which mobile phones can answer to .From an idea of sending SMS to students about their grades and canceled classes through Creating the official Facebook Chat for feature Phones and building the first vision based AR Navigation system (TapNav) . Today identifying trends in the Appstore's and analysing Market share of Ad networks and the values of Ad campaigns for publishers . A clinical psychologist and Entrepreneur. Alex is VP Product at Zlango, a mobile messaging start-up that has products for Android and iPhone. Alex is responsible for product building methodologies , building working relationships with partners (including Apple and Google) and leading a major product facelift. Prior to this position, Alex was in-charge of product monetization and helped build Zlango’s virtual store and virtual economy. Before joining Zlango, Alex was the VP Product @MagicHoldem, a poker start-up working with major Poker operators with a unique B2C product. 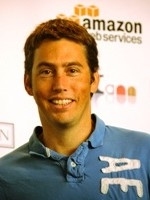 Prior to that Alex was the founder and CEO of EV-Plus that built an add-on for leading social games. EV-plus has worked with Playdom, Zynga among others. Pavel is the CTO of CodeValue, a software services and training company, where he trains, writes and consults, specializing in Microsoft technologies. He’s also a Microsoft MVP and a frequent speaker at national events. In a dimly remembered past he co-founded a startup (Quiksee) and served as a lead developer, team leader and CTO (later to be acquired by Google). 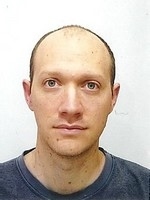 Pavel has more than 14 years of experience in the software development arena. 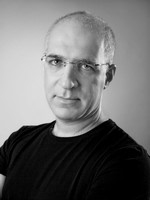 Lior Yekoutieli is an executive adviser with over 20 years of experience in the hi-tech and the mobile domain. 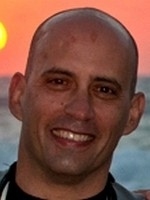 Lior has been with Comverse for 16 years, where he held various senior management positions in Israel and abroad, including being the Technical Director of Comverse in France, CTO of the Asia-Pacific Division and AVP, head of the Mobile Software department. Since 2006 Lior has been leading sales and business development activities mainly between France and Israel, specializing in advising to European companies in scouting and technology research in Israel. 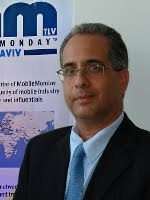 Lior is an organizer of Mobile Monday Tel Aviv, the official Israel chapter on the Mobile Monday worldwide community of professionals in the Mobile and cellular domain. 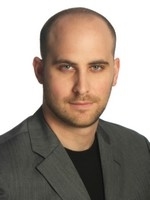 Levi Shapiro is a Partner at TMT Strategic Advisors, a global research and strategy firm focusing on the technology, media and telecom sectors. TMT clients include world leaders such as NTT DoCoMo, The Walt Disney Co, France Telecom and the Australian government. He is an Adjunct Professor in the MBA program at Fordham University in NYC and the Executive MBA program at IDC Herzeliya. 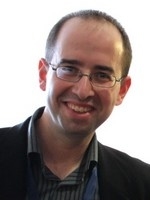 Mr. Shapiro writes the "Unleavened Media" column about digital media for the Jerusalem Post. During a 15 year career in media and technology, Mr. Shapiro has launched new business units (IBM), new technologies, services and companies. Ofir is the founder of Mobile Monday Tel Aviv (MoMoTLV, http://www.momotlv.com), the official Israeli chapter of the global non-profit organization Mobile Monday. Ofir has a rich background in mobile technologies and business practices, dating back to 2003 when he was a consultant to Orange Israel. In 2005, Ofir founded GamearraY, a Jerusalem based startup company known for its award winning user generated mobile gaming platform. In mid 2008 Ofir left GamearraY and became a consultant for Israel's leading mobile startups as well as to Oracle Israel Development Center.